Our MSc Finance and Economics is part of our Academic and Professional Programme – designed for people who want to pursue a professional career within finance or economics or move into PhD study. It’s ideal for you if you’ve studied economics before and are looking to specialise further – through intensive, research-led training in advanced economics with a particular specialty in finance. You should already have a good undergraduate degree (equivalent to 2:1 or 1st) with a substantial component of economics, or a graduate diploma in economics. You will build your expertise with core compulsory taught modules in microeconomic theory and financial econometrics, along with a range of optional modules. Along with your dissertation, this is an area where you can tailor the course to meet your own personal interests and aspirations. Your dissertation – which you will write towards the end of your year with us – gives you the freedom to choose your own topic from within the area of finance and economics. Throughout your dissertation you will benefit from supervision and support from a member of the School of Economics. We also offer additional support to help you get the most from your Master’s. This includes an optional, intensive pre-sessional course in the fortnight before your programme begins in September. This course incorporates the techniques of calculus and matrix algebra and an introduction to the specialist econometric software that you will use in your MSc programme. While not compulsory, we strongly recommend you take advantage of this fantastic opportunity. 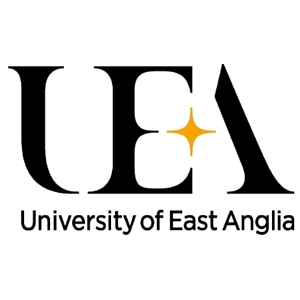 Visit the MSc Finance and Economics page on the University of East Anglia website for more details!